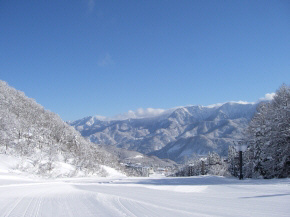 Hakuba Norikura Onsen resort is located in the small village of Otari, just to the north of Hakuba village in Nagano Prefecture. 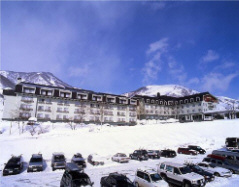 The resort has a fine selection of course suited to different levels of skier, snowboard as well as often excellent snow conditions and is also popular for teleskiing. 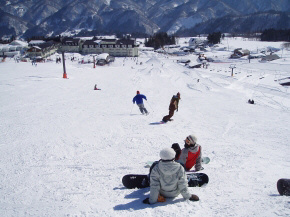 The resort has a hotel at the bottom of the slopes - Hakuba Alps Hotel - offering ski-in ski-out access. 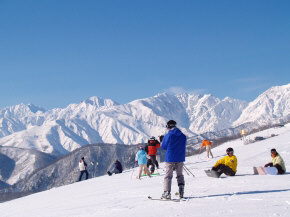 Hakuba Norikura Onsen resort is also connected to the neighbouring Hakuba Cortina Kokusai resort and a lift ticket enables you to ride both resorts on the same day (see below for details). 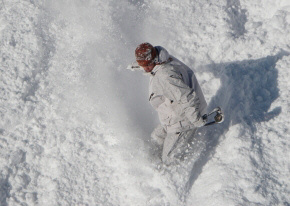 Good for a beginner's first challenge. 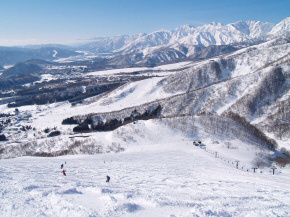 The following tickets are for use at both Hakuba Norikura Onsen ski resort and the adjoining Hakuba Cortina Kokusai ski resort. 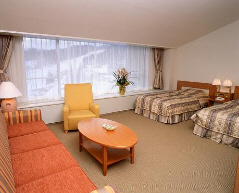 The Hakuba Alps Hotel, located at the base of the resort, offers ski-in ski-out access to Hakuba Norikura Onsen resort.